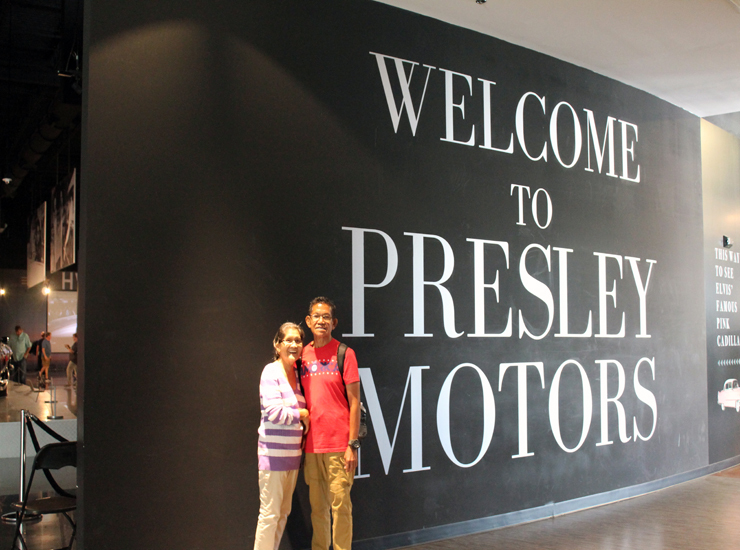 On second week of October, 2017 we visited Graceland, Elvis’ mansion in Memphis, Tennessee. This post is a continuation of last week post where I shared photos of the inside of Graceland. You might want to click there first if you haven’t already read it. 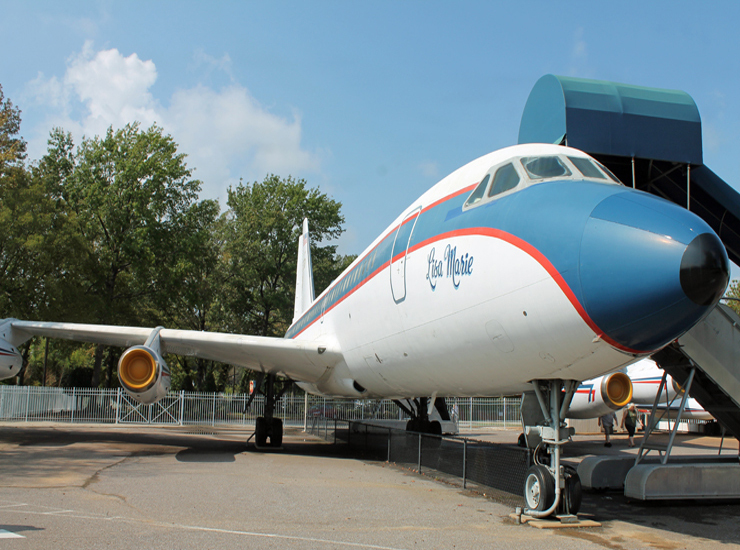 Today I’m sharing some photos from each of the exhibits at Graceland. 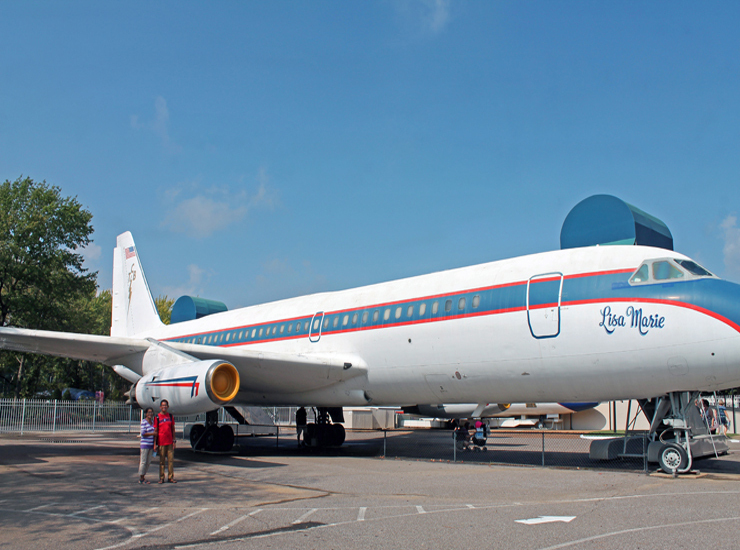 Elvis owned two custom airplanes, the Lisa Marie, a Convair 880 named after the rock legend's daughter, and Hound Dog II, a Lockheed JetStar. The JetStar is quite small allowing visitors only it has a neon yellow and green interior, but a better tour can be found inside the Lisa Marie. 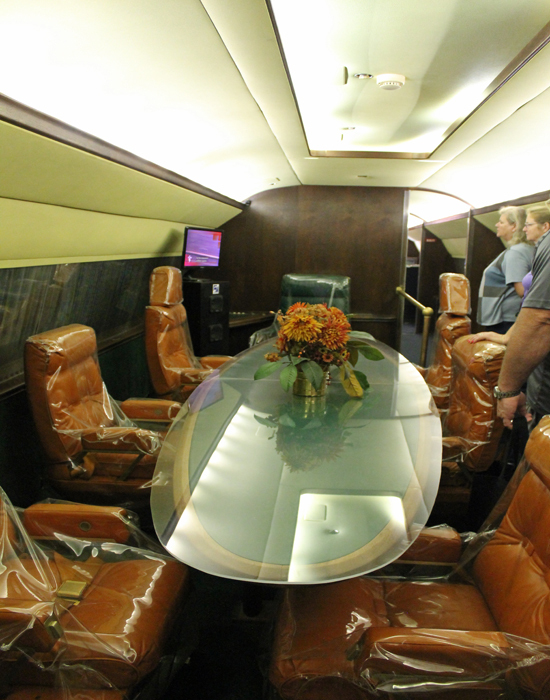 The "Lisa Marie", Elvis Presley''s private plane named after his daughter, is on display in Graceland. Presley bought the jet from Delta Air Lines for $250,000 in April 1975; refurbishing brought the total to over $600,000, and he first boarded the craft in November of that year. 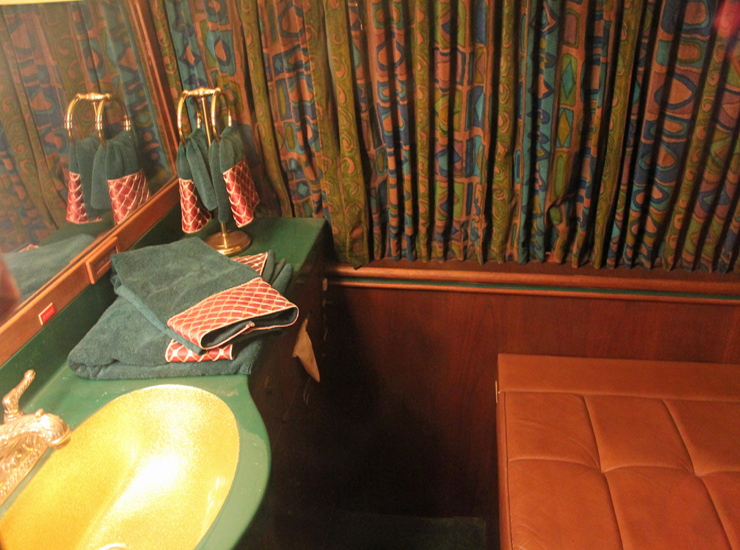 Elvis plane features a red-white-and-blue exterior and gold-plated bathroom fixtures. A stereo system and conference room. All seat belts on the plane are plated in gold. An avid fan of Elvis my mom and dad. Elvis loved cars and he loved giving them away, what a generous guy he was! The cars in this museum collection are ones he personally drove and bought for family members. Elvis Museum, detailing his personal life and life on the road. The following are two of my favorites. 1955 Cadillac Fleet-wood: Perhaps the most famous of Elvis’ cars. 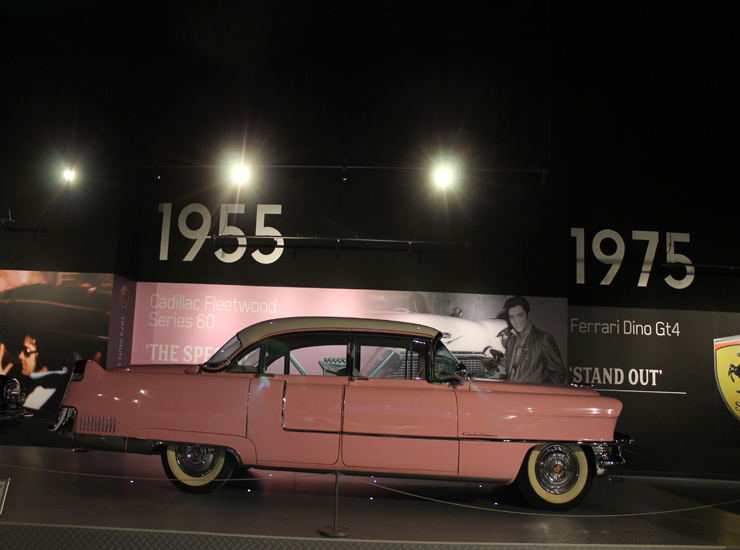 Custom painted pink, this car was first used by Elvis for touring. He then gave the car to his mom. 1973 STUTZ BLACKHAWK: Legend has it that this Stutz Blackhawk was originally ordered for Frank Sinatra, but charmed away from the car dealer by Elvis. 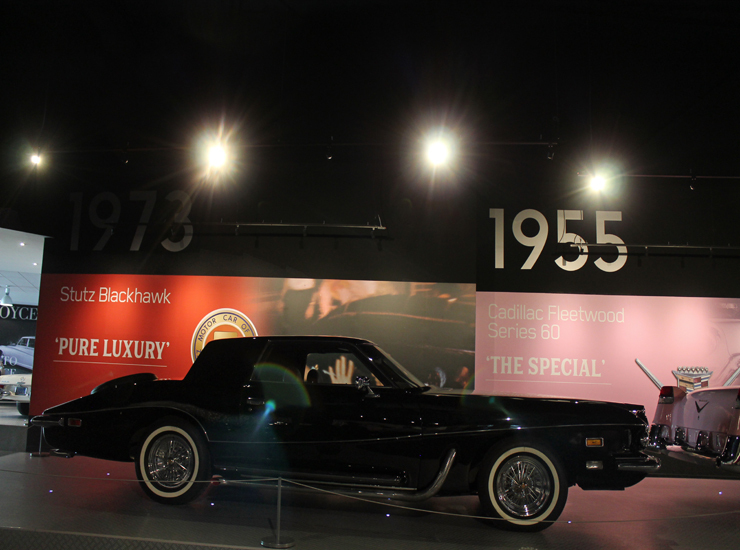 This car was presented to Elvis at the Las Vegas International Hotel in 1970 and was the first ever Stutz Blackhawk to be delivered in the United States. That is so much fun! We've been to Graceland a couple of times, and we love it. It's very interesting to see the history of the Kind of Rock and Roll. Oh wow! What a great step back into the past. I'd love to be able to see all of those cars and the plane. Even if you aren't an Elvis fan, that's still a super interesting exhibit. 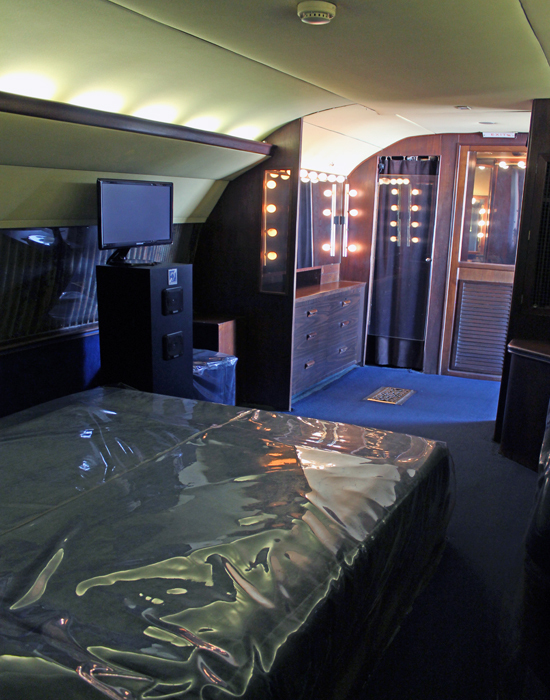 I have never been to Graceland before but I would've love to explore that airplane. There is a lot of people in my family that I absolutely love Elvis. This is something that would be fun to do with them. Looks like you had a wonderful time. Amazing! Because of venues like this and blog posts, Elvis will truly never die. If you think about it, it's incredible all that he did! How cool. I didn't even know this place existed. I'd love to go there and experience this piece of history. Wow, I would love to visit Graceland. That 1955 Cadillac Fleet-wood looks super cool. I love the colour! Whoa, that is so cool! 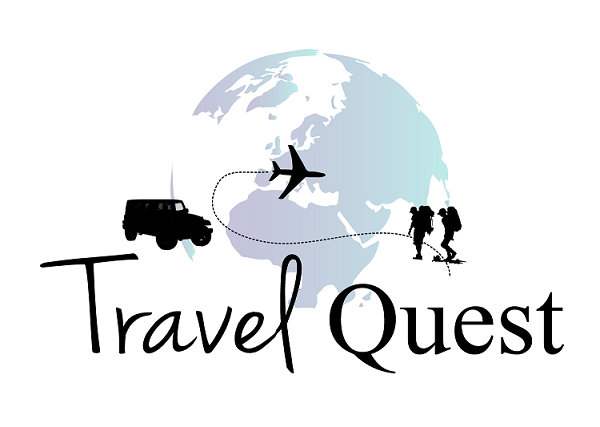 I would love to take a tour. It's so interesting to know how generous he is and how his collection still looks so beautiful! I have never been to Graceland. It looks like an amazing and fun place to visit. It is so interesting to know about vintage car collection history. I will definitely check this out. That is quite the airplane! That bathroom! What a cool experience to go see this in person. I have never been to Graceland but it sounds like an interesting place to explore. That looks like a fantastic time! I would love to see that in person. 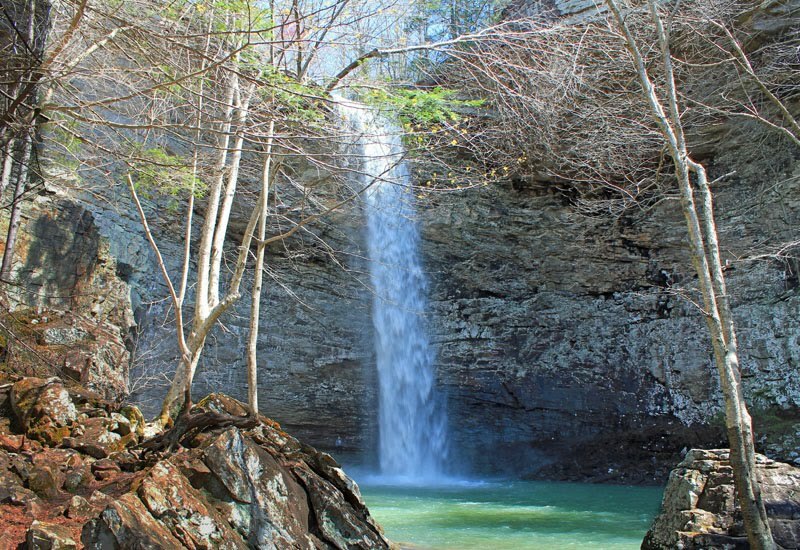 I have family there but have never been, would be a lot of fun! Wow, that is so neat. I would love to visit here someday. It would be so much fun and it looks like so much to see too. I have been to Graceland and got to tour the planes and cars!! So much FUN!! I had no idea this existed. This is so cool. I've long been a fan since I was little. That is so cool. I had no clue that the museum even existed either. I'll have to see if we can go on a tour soon. It would be so nice to be able to tour this place! The plane is just stunning! He definitely lived a luxurious life. I'm not an Elvis fan but I would totally love to check out Graceland. That 1955 Cadillac Fleet-wood is stunning. WOW! I never heard of these places. That pink Caddy is so fierce though! Oh wow! Elvis was a baller! Look at the size of that private airplane!! The cars are gorgeous too! What a fun museum, especially for music lovers! I love all of the details in his plane. 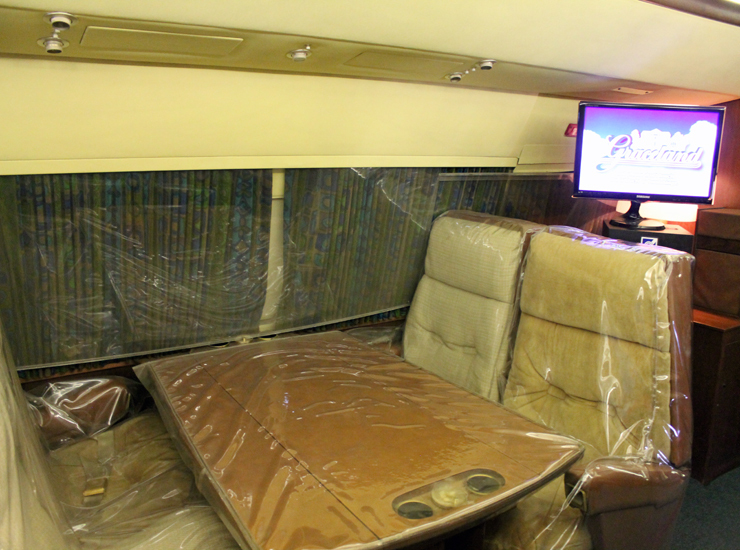 The gold seatbelts must have been so luxurious! 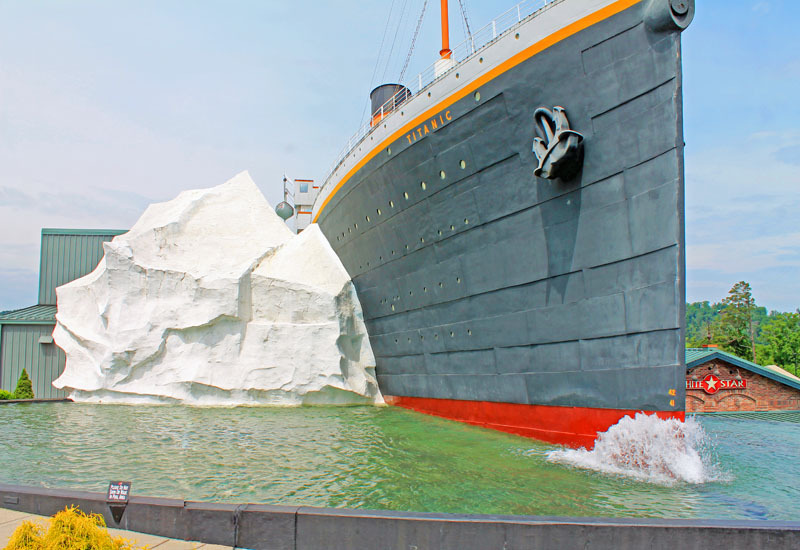 Would be the most fun place to visit! Graceland is definitely on my bucket list for Memphis!